The internet is always evolving – what are you doing to keep up? As a blogger, podcasts are some of the most affordable, convenient, and expansive learning tools you can incorporate into your daily life. With podcasts, any downtime, such as your commute, your walk to pick up lunch, or even the time you spend doing chores can be put to productive use, learning more about your craft. This list breaks down ten of the most popular podcasts for bloggers. The vast majority of podcasts are free. They’re also easy to download and play from your smartphone using an app like Overcast. Active podcasts update on a regular basis, often weekly and sometimes even daily. With episodes that range in length from 15 minutes to an hour, you should be able to them into your weekly schedule. 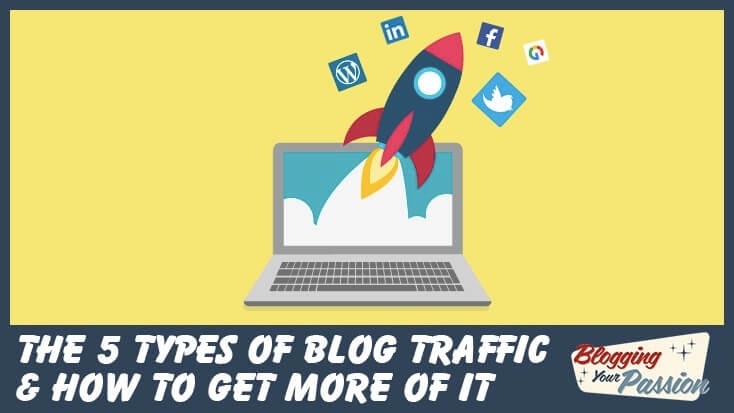 With so many podcasts available, and new ones launching all the time, you have all the tools to master blogging, writing, affiliate marketing, SEO, WordPress and social media at your fingertips. But with so blogging podcasts out there, where on earth do you start? While this list is not exclusively made up of blogging podcasts, everything here is useful for those interested in building their influence online. New to podcast listening? Now is the perfect time to start! Download a podcast app to your phone, and if any of the podcasts for bloggers below catches your eye, get started with the recommended episode! One of the most popular podcasts for entrepreneurs, online business owners, and bloggers, Smart Passive Income is a weekly podcast that offers advice for building your online empire. Episodes range from 30 to 45 minutes in length. Hosted by the lively and opinionated Pat Flynn, an established online entrepreneur in his own right, each week’s episode features interviews with successful business owners, frank and honest advice, and actionable tips that you can take and apply to your own online ventures. Although Pat covers a wide range of topics on his blog, he’s interviewed a number of well-known names from the WordPress space. He’s also launched his own successful WordPress plugin and theme. AskPat is another podcast by Pat Flynn which goes live five days a week, Monday through Friday. Each episode see’s Pat answers a new listener question about online business and blogging. At 8 to 12 minutes an episode, AskPat is quicker and more targeted than Smart Passive Income, making it ideal for those looking for a quick shot of advice. It truly is an interactive podcast, created for the benefit of Pat’s listeners. He invites listeners to record their questions on his website. If your question is chosen, in addition to getting to tap into Pat’s entrepreneurial know-how, you win a free t-shirt. Here is a great episode from the archives to get you started: If You Had to Start Again From Scratch, What Would Your First 90 Days Look Like? Darren Rowse, the personality behind ProBlogger, was many people’s introduction to building a blog, and his weekly podcast is one of the best you can tune into as a blogger. In over 180 episodes, Darren has covered issues related to producing content, placing ads, promoting your work, and life as a solo entrepreneur. As a blogger, you must have a strong ability to motivate yourself to do your best work in the limited amount of time you have at your disposal. While not strictly a blogging podcast, Hal Elrod’s inspiring weekly podcast Achieve Your Goals offers practical strategies for, well, achieving your goals. Hal Elrod draws from his extensive experience as a life coach and his personal history escaping near death to inspire his listeners to reach for their dreams. Amy Porterfield’s popular podcast Online Marketing Made Easy aims to break down the complexities of SEO, social media, and lead generation to help entrepreneurs build their online empires. Many episodes include additional resources like cheat sheets, blueprints, and eBooks to provide even more actionable advice to her subscribers. Amy’s goal is to bring the most powerful strategies to her listeners in an actionable, step-by-step format. Brandon Gaille built his blog to over 1 million monthly visitors in the two years after publishing his first post. In his value-packed podcast, The Blog Millionaire, Brandon shares the same strategies he used to attract his first million visitors in a practical how-to format. Jonathan Milligan’s mission statement is “to help 1,000 bloggers go full-time in the next 5 years”. Will you be one of them? Get all of Jonathan’s best blogging advice from his occasional podcast. Expect new episodes 1-4 times per month with useful tips on SEO, traffic generation, making money, and time management. In her biweekly podcast, Profit. Power. Pursuit., Tara Gentile explores making a life of creative pursuit, whether that be through art, design, blogging, or another creative venture. Most episodes feature interesting guests, such as artists, entrepreneurs, and business experts. Being Boss bills itself as the productive mindset-building podcast for creative entrepreneurs, and Emily Thompson and Kathleen Shannon’s podcast doesn’t disappoint. Each week brings a new full-length podcast, often with a guest. You’ll also find “minisodes,” offering up quick and snappy tips for listeners. Build the positive habits, mindset, and routines that will drive your blog to greater heights with this inspiring podcast. Elise Blaha Cripe is the creative entrepreneur behind the daily goal-setting planner Get to Work Book. 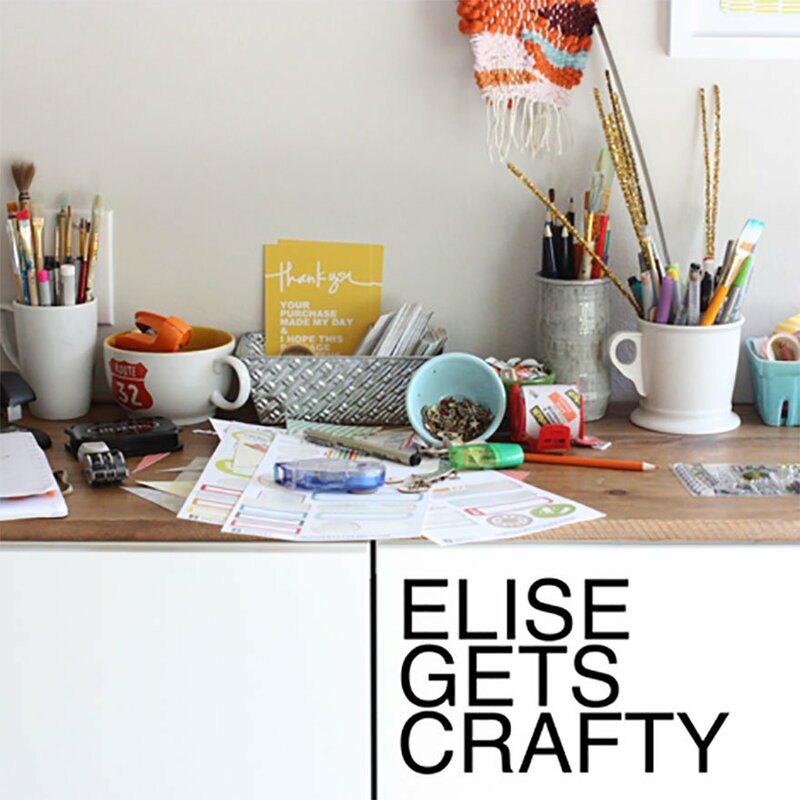 In her podcast, Elise Gets Crafty, Elise interviews artists, entrepreneurs, productivity experts, bloggers, and more about the habits that go into running a successful creative project. Though there aren’t often episodes specific to blogging, most of the episodes are applicable to blogging in some way. Hopefully this list opened your eyes to a world of blogging podcasts you may not have realized was out there. These ten podcasts are all popular with online entrepreneurs. They’re also are a great place to start if you haven’t used podcasts to their full potential before. From the guests interviewed in these podcasts, you are more than likely to discover other blogs and podcasts you’ll love. For more WordPress and web design focused advice, don’t forget to check out our very own Divi Nation podcast. There are so many great inspirational podcasts for bloggers out there that I am sure I missed some. If I passed up your favorite blogging podcast, comment below to share it with other readers.